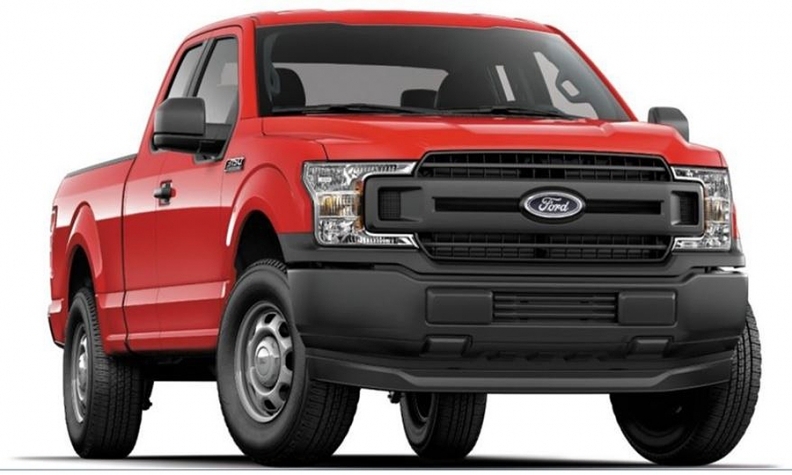 WASHINGTON -- Ford Motor Co. said Thursday it would recall two million F-150 pickup trucks in North America — 339,884 in Canada — to address fire and smoke concerns in seat belt pretensioners. The automaker said it was aware of 17 reports of smoke or fire in the United States and six in Canada relating to belt pretensioners, but was not aware of any accidents or injuries as a result of this condition. The mechanism of the pretensioner, which works in tandem with airbags, involves an explosive charge that locks a seat belt in place during a crash. Some pretensioners in front seat belts could generate excessive sparks when deployed, resulting possibly in a fire, the company said. Seat belt pretensioners can generate excessive sparks when they tighten before a crash. That can ignite gases inside a support pillar between the front and rear seats, causing insulation and carpet to catch fire. Transport Canada contacted Ford in November 2017, regarding a B-pillar area fire on a 2015 model year vehicle, prompting a joint vehicle inspection by Ford and Transport Canada. In one of the complaints filed with the U.S. government, an owner in Grand Rapids, Michigan, told NHTSA that on July 7, a deer ran into the driver's side of a pickup, causing minor damage. The side air bags inflated, and after five to 10 minutes, a passenger noticed a fire on the bottom of the post between the front and rear doors where the seat belts are located. ``The truck went up in complete flames in a matter of minutes and is a complete loss,'' the owner wrote. Ford, in a filing with the Securities and Exchange Commission, said the recall will cost it about US$140 million and will show up in its third quarter earnings. The National Highway Traffic Safety Administration began probing reports of fires in the trucks earlier this summer. Owners should "take action" when they receive recall notices from Ford disclosing the timing for free repairs, NHTSA said in a statement Thursday. The automaker "identified this issue through its normal quality processes. We have been cooperating with the agency, as we always do," Ford spokeswoman Elizabeth Weigandt said on Thursday, referring to NHTSA. There were five complaints alleging fires following the activation of seat-belt pretensioners, the NHTSA said. To resolve the issue, dealers will remove some insulation material and remnants of wiring harness tape from the vehicle's B pillar area, and apply heat-resistant tape to the carpet and its insulation. They will also modify the back interior panels of Regular Cab vehicles. The B pillar is the vertical support behind a vehicle's front seat windows. Ford said the components in the older 2015-2017 models were built by Japanese supplier Takata, which was acquired by Ningbo Joyson Electronic Corp., while ZF Friedrichshafen AG built the parts starting with the 2018 model year.